Fishermen’s leaders today welcomed the commitment from two senior cabinet ministers and the leader of the Conservatives in Scotland to leaving the Common Fisheries Policy in March 2019. In a joint statement Michael Gove and Ruth Davidson, who were on opposite sides in the referendum campaign, backed the Scottish Fishermen’s Federation position. Chancellor Philip Hammond also voiced his support for the UK becoming a fully-functioning Coastal State during an appearance on Peston on Sunday. 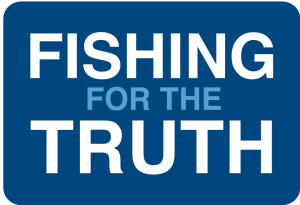 SFF chief executive Bertie Armstrong said: “As our own polling shows, Brexit presents a huge opportunity for the fishing industry, which leavers and remainers alike have urged ministers to seize. “The challenge now is to turn aspiration into action. The government must reject out of hand the EU’s stated intention to deny the UK control of its own seas. The commitments come after the SFF set out a series of red lines for the Brexit negotiations. Skippers and crews would regard crossing these as a disaster equivalent to Edward Heath’s decision to sacrifice the industry upon entry to the EEC in 1973. Immediate exit from the CFP, ensuring EU does not have the right to grant access and set fishing opportunity and management rules within UK waters during the implementation period. Under international law permit the UK to become a fully-functioning Coastal State from day one, with a nine-month “bridge” to align with the international fisheries negotiations calendar. Prepare for discussions in the appropriate international negotiations over access to UK waters, but on UK terms. No linkage between access and trade – there is no rationale for this, and existing agreements between the EU and Coastal States make no such link. In January, a YouGov poll commissioned by the SFF found powerful public support for the UK taking back control of its fishing grounds when the country leaves the EU. 79% of voters who expressed an opinion said the country should exit the CFP right away or following a short bridging period. Just 15% said they thought the UK should only regain control of its waters at the end of a transition period and 6% were in favour of remaining in the CFP. Even among those who voted remain in the EU referendum, 63% favoured an immediate exit for the fishing industry or one after a short bridging period.